Foursquare is the most popular location service app on the planet. I have been using it for a couple years now and very active. I use it for a variety of reasons, one being letting my friends and clients know of cool and interesting places to visit. The first badge that I will profile is the NEWBIE badge. You will get this one on your first check-in. Congrats on your first check-in! 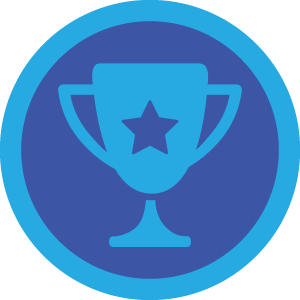 In foursquare, you earn badges for your best check-ins – like going to museums, staying out late, or working out at the gym ten times in a month. Have fun exploring!